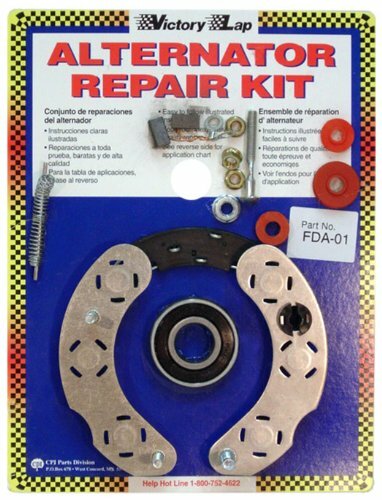 Fits most 1990-2008 Ford vehicles with Ford/Motorcraft 3G internal regulator alternator. Victory Lap kits fit nearly 90 percent of American made automobile and light truck starters and alternators. 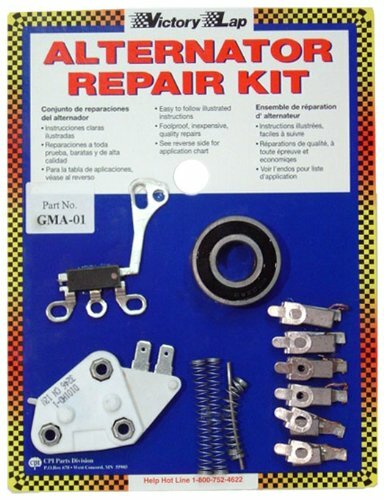 Plus, Victory Lap now has several kits available to repair the most popular import starters. All replacement parts of the finest parts available, meeting or exceeding OEM specifications. Each kit contains easy-to-follow, completely illustrated instructions. A great tool for the novice, do-it-yourself, student or professional mechanic. Colorful and attractive "clamshell" packaging resists damage and tampering. 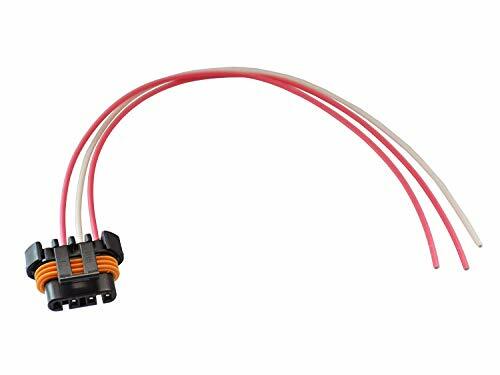 New Aftermarket Replacement Alternator Lead CS130 CS121 CS144 Wire Repair Harness Connector Description: Alternator O.E. 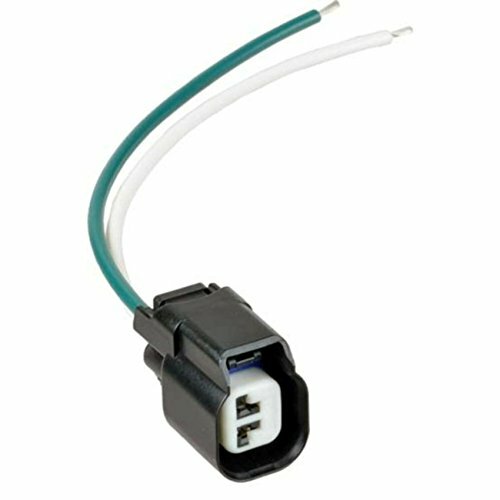 Style pigtail connector. 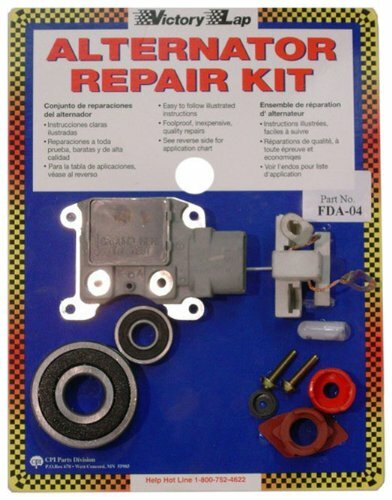 This kit repairs Delco 10SI, 12SI, 15SI and 17SI series alternators found on 1962-1992 GM, AMC cars and light trucks plus a wide range of ag and industrial equipment.Victory Lap kits fit nearly 90 percent of American made automobile and light truck starters and alternators. Plus, Victory Lap now has several kits available to repair the most popular import starters. All replacement parts of the finest parts available, meeting or exceeding OEM specifications. Each kit contains easy-to-follow, completely illustrated instructions. A great tool for the novice, do-it-yourself, student or professional mechanic. Colorful and attractive "clamshell" packaging resists damage and tampering. 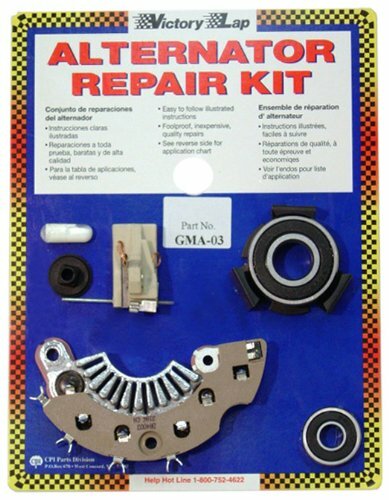 Fits most 1984-1994 Ford vehicles with Ford/Motorcraft internal regulator alternator, -- except 3G .alternators. Victory Lap kits fit nearly 90 percent of American made automobile and light truck starters and alternators. 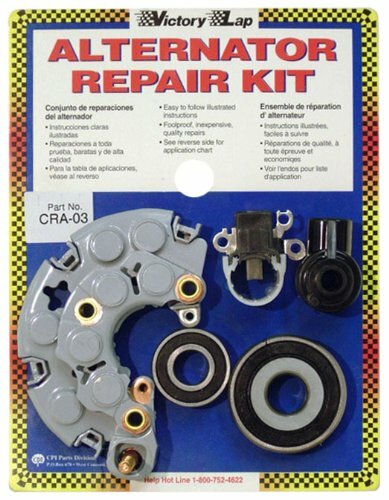 Plus, Victory Lap now has several kits available to repair the most popular import starters. 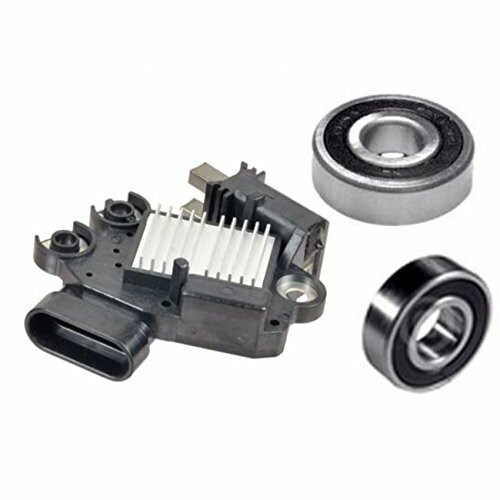 All replacement parts of the finest parts available, meeting or exceeding OEM specifications. Each kit contains easy-to-follow, completely illustrated instructions. A great tool for the novice, do-it-yourself, student or professional mechanic. Colorful and attractive "clamshell" packaging resists damage and tampering. 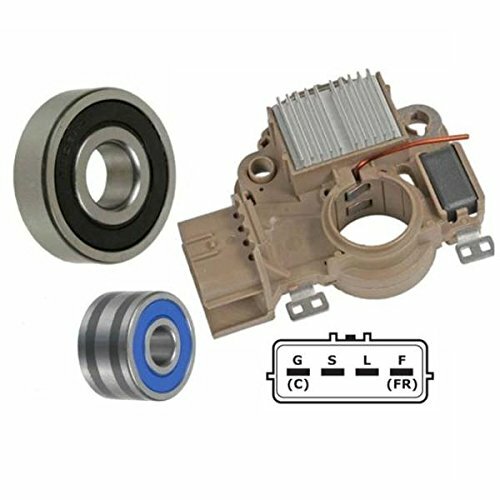 Fits most 1986-1999 GM vehicles with GM CS121 or CS130 alternators. Victory Lap kits fit nearly 90 percent of American made automobile and light truck starters and alternators. Plus, Victory Lap now has several kits available to repair the most popular import starters. All replacement parts of the finest parts available, meeting or exceeding OEM specifications. Each kit contains easy-to-follow, completely illustrated instructions. A great tool for the novice, do-it-yourself, student or professional mechanic. Colorful and attractive "clamshell" packaging resists damage and tampering. Get It fast - Ships Same Day! Ships Same Day - Get It Fast! 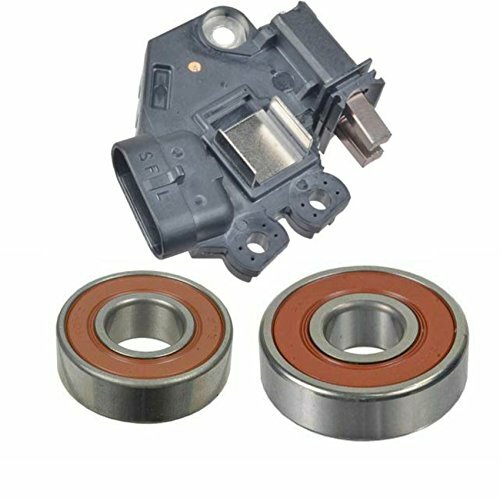 Fits most 1962-1994 GM vehicles with Delco starters with long (80mm) drive Victory Lap kits fit nearly 90 percent of American made automobile and light truck starters and alternators. Plus, Victory Lap now has several kits available to repair the most popular import starters. All replacement parts of the finest parts available, meeting or exceeding OEM specifications. Each kit contains easy-to-follow, completely illustrated instructions. A great tool for the novice, do-it-yourself, student or professional mechanic. Colorful and attractive "clamshell" packaging resists damage and tampering. 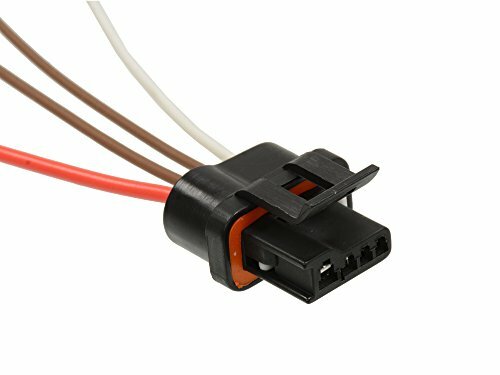 2 Wire Plug for Repairing the Dodge Chrysler Jeep alternator connection on 2007+ models. 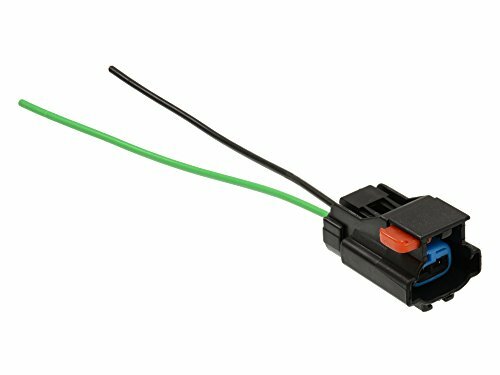 Fits most 1991-2002 GM vehicles with Delco PG260 & PG260M PMGR starters with 11 tooth drive. Victory Lap kits fit nearly 90 percent of American made automobile and light truck starters and alternators. 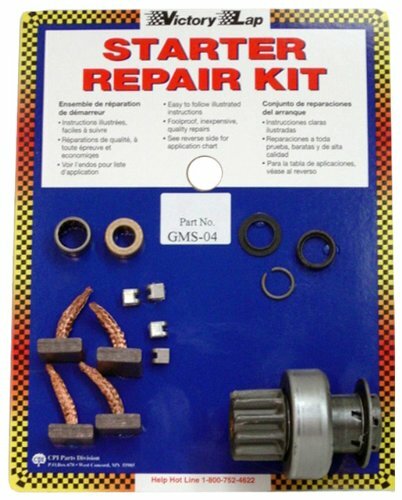 Plus, Victory Lap now has several kits available to repair the most popular import starters. All replacement parts of the finest parts available, meeting or exceeding OEM specifications. Each kit contains easy-to-follow, completely illustrated instructions. A great tool for the novice, do-it-yourself, student or professional mechanic. Colorful and attractive "clamshell" packaging resists damage and tampering. 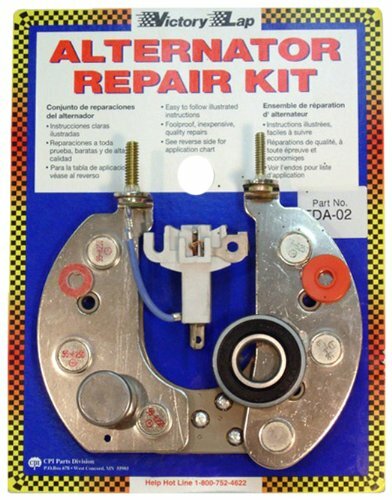 Fits most 1961-1991 Ford vehicles with Ford/Motorcraft low amp (40-65 amp) alternators with external regulator. Victory Lap kits fit nearly 90 percent of American made automobile and light truck starters and alternators. Plus, Victory Lap now has several kits available to repair the most popular import starters. All replacement parts of the finest parts available, meeting or exceeding OEM specifications. Each kit contains easy-to-follow, completely illustrated instructions. A great tool for the novice, do-it-yourself, student or professional mechanic. Colorful and attractive "clamshell" packaging resists damage and tampering. Fits most 1993-2005 GM vehicles with GM CS130D alternator. Victory Lap kits fit nearly 90 percent of American made automobile and light truck starters and alternators. 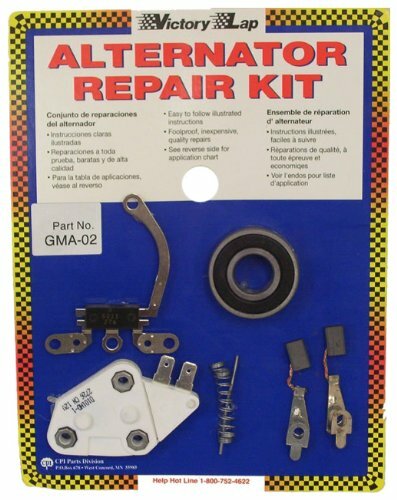 Plus, Victory Lap now has several kits available to repair the most popular import starters. All replacement parts of the finest parts available, meeting or exceeding OEM specifications. Each kit contains easy-to-follow, completely illustrated instructions. A great tool for the novice, do-it-yourself, student or professional mechanic. Colorful and attractive "clamshell" packaging resists damage and tampering. 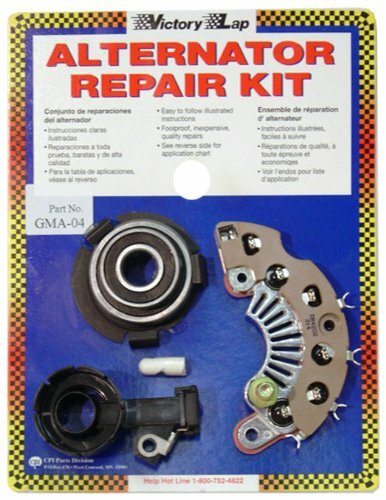 Complete alternator repair kit for 1988-2007 Chrysler vehicles with 120 amp Chrysler/Nippondenso alternators. Victory Lap kits fit nearly 90 percent of American made automobile and light truck starters and alternators. 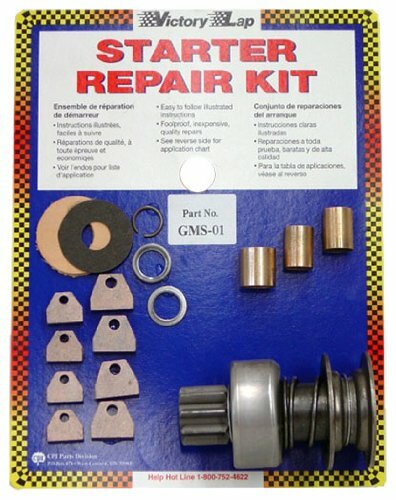 Plus, Victory Lap now has several kits available to repair the most popular import starters. All replacement parts of the finest parts available, meeting or exceeding OEM specifications. Each kit contains easy-to-follow, completely illustrated instructions. A great tool for the novice, do-it-yourself, student or professional mechanic. Colorful and attractive "clamshell" packaging resists damage and tampering. Fits most 1956-1991 Ford vehicles with Ford/Motorcraft stud type Direct Drive starters. Victory Lap kits fit nearly 90 percent of American made automobile and light truck starters and alternators. Plus, Victory Lap now has several kits available to repair the most popular import starters. All replacement parts of the finest parts available, meeting or exceeding OEM specifications. Each kit contains easy-to-follow, completely illustrated instructions. A great tool for the novice, do-it-yourself, student or professional mechanic. Colorful and attractive "clamshell" packaging resists damage and tampering. Fits most Delco 27SI 80-100 amp, internal regulator alternator in 1970-94 GM. Vehicles. Victory Lap kits fit nearly 90 percent of American made automobile and light truck starters and alternators. Plus, Victory Lap now has several kits available to repair the most popular import starters. All replacement parts of the finest parts available, meeting or exceeding OEM specifications. Each kit contains easy-to-follow, completely illustrated instructions. A great tool for the novice, do-it-yourself, student or professional mechanic. Colorful and attractive "clamshell" packaging resists damage and tampering. 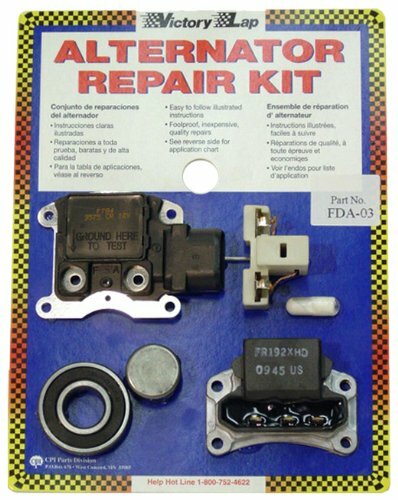 Fits most 1964-1992 Ford vehicles with Ford/Motorcraft 2G high amp ( 70-100 amp) alternators with external regulator. Victory Lap kits fit nearly 90 percent of American made automobile and light truck starters and alternators. 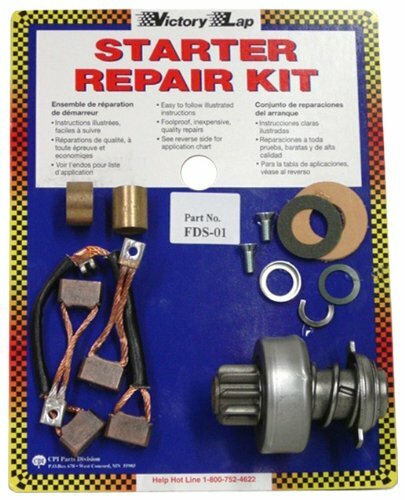 Plus, Victory Lap now has several kits available to repair the most popular import starters. 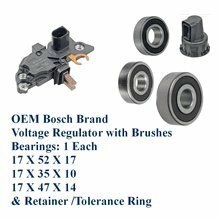 All replacement parts of the finest parts available, meeting or exceeding OEM specifications. Each kit contains easy-to-follow, completely illustrated instructions. A great tool for the novice, do-it-yourself, student or professional mechanic. Colorful and attractive "clamshell" packaging resists damage and tampering.